World Tuberculosis Day 2019 (Sunday, March 24) is a reminder that while vaccinations have nearly eradicated many of the planet’s worst diseases, 16,000 children under the age of five still die every day because they don’t have access to these life-saving inoculations. Unicef and its partners have helped quadruple immunization rates since 1980, saving up to 3 million kids’ lives annually. 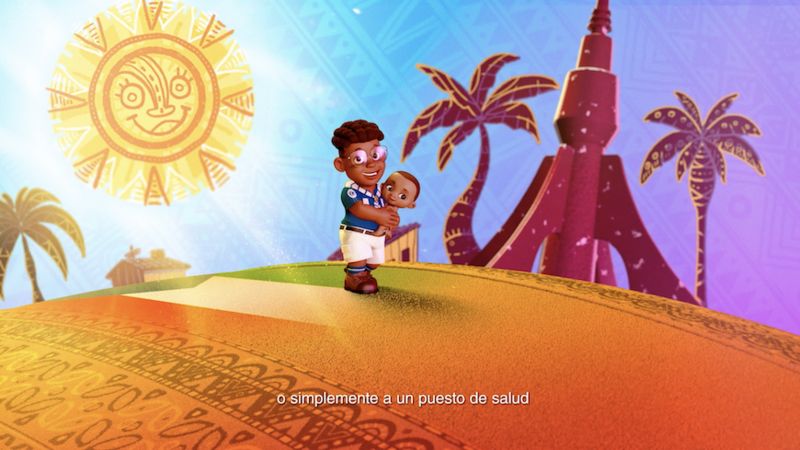 To further its mission, the organization enlisted Claudio Martins to create cartoon content that could connect with children in Western Africa — and he did it in Toon Boom Harmony animation software. Martins and his production company, Animare Studio, are based an ocean away in his homeland of Brazil, though he learned how to animate in Toon Boom Harmony in Los Angeles. While studying in the United States, he heard about a Unicef contest to create content to promote vaccination among children in Western Africa. He knew animation was the best medium to deliver complicated medical information to kids simply and meaningfully. Clearly Unicef agreed as he won the contest and produced the piece, which is now airing on kids’ television channels in Equatorial Guinea. The final product brilliantly combines traditional African aesthetics with messaging encouraging children to get themselves and their younger siblings immunized against polio, tuberculosis and hepatitis B. It also showcases Toon Boom Harmony’s flexibility to create compelling 2D animation in a 3D environment. Ahead of World Tuberculosis Day 2019, Toon Boom sat down with Martins to discuss his inspiration behind the Unicef piece, his production process and why he used Harmony animation for this project — and will use it again for his next. Hi Claudio! How did you get involved with Unicef? CM: I was studying at the American Animation Institute at the Animation Guild in Los Angeles, and I was invited to write and direct The Hidden — a short film animated in Toon Boom Harmony. A guy on the production showed me the Unicef contest. They asked for a lot of details like my background, work history, portfolio and suggestions for the movie, but after three months I received the great news that I won the contest! That’s amazing! Why did you decide to do a 2D-3D hybrid animation? CM: Unicef requested to do the piece in 3D, but I had an idea to use 2D elements and mix the styles — like animated classics from the 1940s and 50s. My inspiration was Disney’s Three Caballeros, I loved that movie. Of course Toon Boom Harmony was the best tool to use. Where did you learn Toon Boom Harmony? CM: I learned mostly on the job, though I originally taught myself using Toon Boom Animate and Animate Pro in 2007. Then, I taught that along with 3D animation in Brazil. I always dreamed of making my own films using both techniques and this started to become a reality after I moved to study in Los Angeles in 2016. Sounds like you have quite the skill set. Did you work with a team on the Unicef project? CM: We were a team of seven based in Brazil including Rosinaldo Lajes, who helped me with the animatics and 2D animation and worked on The Princess and the Frog. I believe in working with the best — especially people who are better than me. I can animate, but I prefer to find someone who can animate even better. That way I can focus on the story, direction and editing. I needed people who could do animatics and animate in Harmony, and then bring these elements into a 3D environment. It was crazy, but it worked. It took around two and a half months including pre-production, storyboarding, animatics, animation and approval. So within the 2D-3D hybrid, what portions were done in Toon Boom Harmony? CM: First, we would generate the 3D models and then plan the 2D animation above them in Harmony. The team would import the models and do a rough animation for my approval, then we’d go back and forth to perfect the timing and feeling. 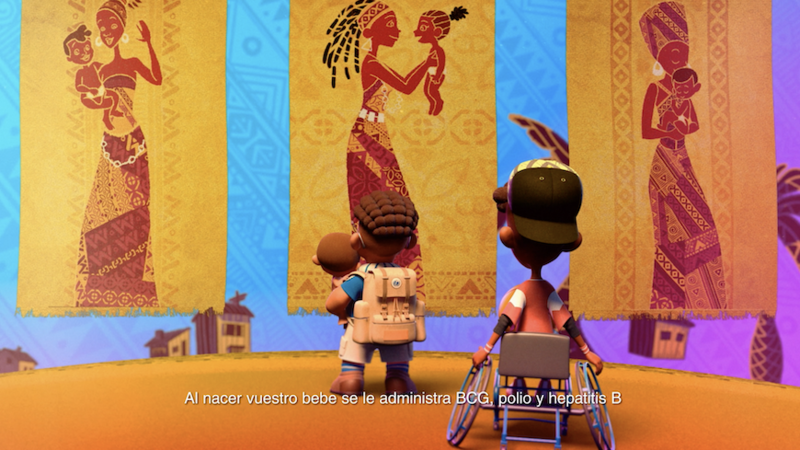 I wanted to bring African art and culture to life, and make it pop from the 3D elements as 2D animation, which my concept artist Carlitos Pinheiro really helped with. I didn’t want to lose the tribal art style and the 2D animated elements are like magic for the characters. To maintain the aesthetic, all of the texturing was also done in Harmony. Ultimately, I like 3D but I love 2D animation — it’s magical, living, organic. I know 3D tries to compare, but 2D will always be more human and natural. 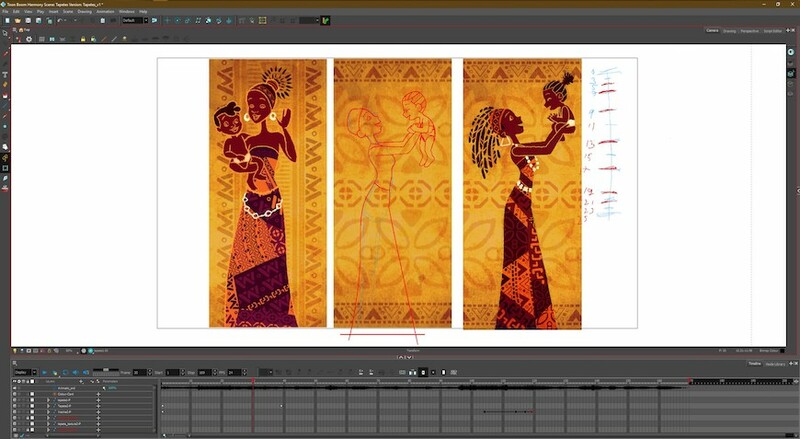 What were the specific benefits, features and tools in Toon Boom Harmony that facilitated production? CM: Harmony is a stable platform and makes importing 3D objects easy — whether for animating or for reference. Also, we used a brush pencil texture to draw the elements. Additionally, Harmony can import movie previews from Max, which allowed my team to animate above them. Toon Boom Harmony also allowed my team to export image sequences in 4k resolution in just a few clicks. We did the entire texture in Photoshop, but were able to replicate in the lines and shapes in Harmony efficiently. It’s an amazing animation tool and was essential in our pipeline. Will you be using Toon Boom Harmony for your next project? CM: Yes! Now that the Unicef project is done, I’m directing another movie here in Brazil — a short animated film produced entirely in Harmony called Sebastiana. It uses textures and looks like a children’s book — it’s going to be very original and beautiful. If I have the option to, I'll always use 2D animation in my films and, if possible, do them entirely in Toon Boom Harmony. The world needs more fantastic 2D animated films. What will yours be about? CM: Sebastiana follows a special girl born with a gift: when she cries, it starts to rain. This is can be good and bad. The story addresses differences, prejudice and acceptance — I adapted it from a famous Brazilian book called Ela tem Olhos de Ceu by Socorro Acioli. It should be done this May and will be around 13 minutes long. We also just won a hard contest in Brazil that’s only awarded to 10 films in the entire country, which was great news. I was inspired by the book’s art and its use of pastels, and found an amazing artist that created stunning visuals like those I had in mind. We are doing them in Photoshop and then importing them with a lot of layers into Harmony, which is making the process a whiz. We’re also using a cut-out technique and doing the special effects in the traditional way; it’s a lot of hard work, but it’s worth it and using an incredible tool like Harmony makes it much easier and more enjoyable. Ready to save the world with animation? 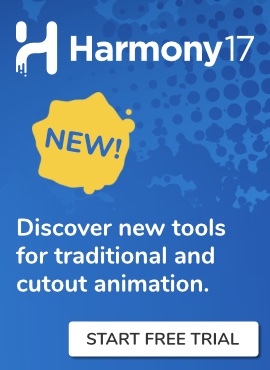 Download your 21-day free trial of Toon Boom Harmony now!